I put this on my bucket list because I've never had the opportunity to photograph a maternity session, so it just made sense to add it to my list as something new to try. I really do enjoy experimenting with different types of photograph sessions. I feel like each new experience behind the camera stretches my abilities and my creativity to make me a better photographer. I'm also a firm believer in the idea that you never know if you're going to like something until you try it. So I am slowly trying to explore all areas of photography to decide which ones I enjoy and which ones aren't for me. This way I will know which session types are a good fit for my business, and which ones I'd prefer to refer to one of my fellow photographer colleagues. It was better! 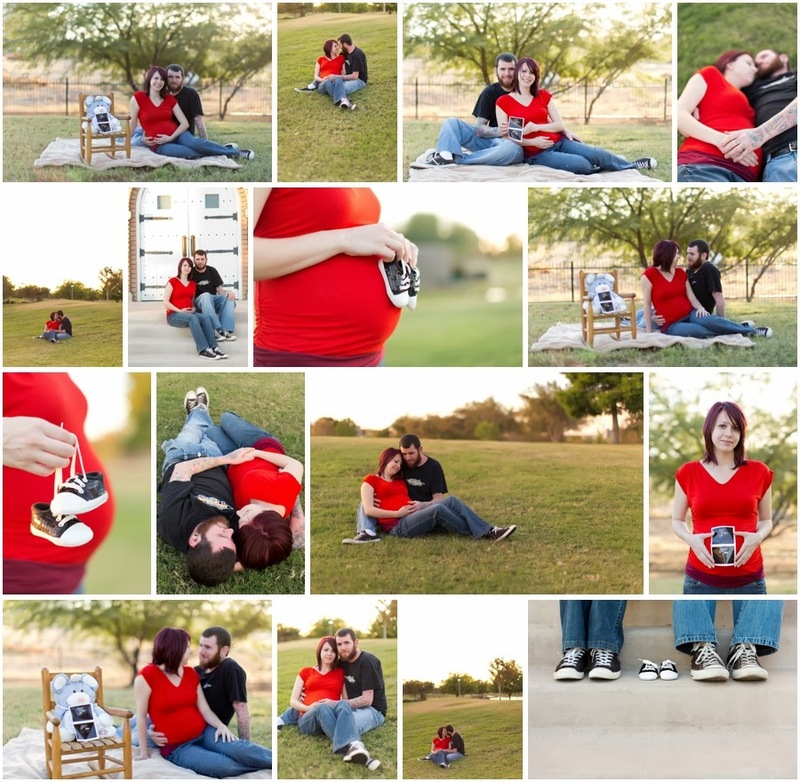 I really had a lot of fun photographing the session, and the photos turned out better than I expected for my first attempt at posing a couple for maternity photos. I never want the first time I try something to be when someone hires me to do it. I'm just not a fly by the seat of my pants kind of girl. I need things to be plotted and planned out well in advance, and that's exactly what I did for this session. Back in the spring one of my friends told me that her daughter was expecting her first child at the end of the year. When I heard the news, I asked if she would be willing to be my subject for my first venture into maternity photography. She agreed, and her boyfriend was up for joining in, too, so we set a date for the session. And the rest, as they say, is history. I've included a collage below of some of my favorites. You can also click here to visit the blog post of the session.